When we want our youth groups to grow, we need to make the best use of online tools available. Dave Edgar will help you understand what you need for effective online youth ministry and how to maximize the potential you have. 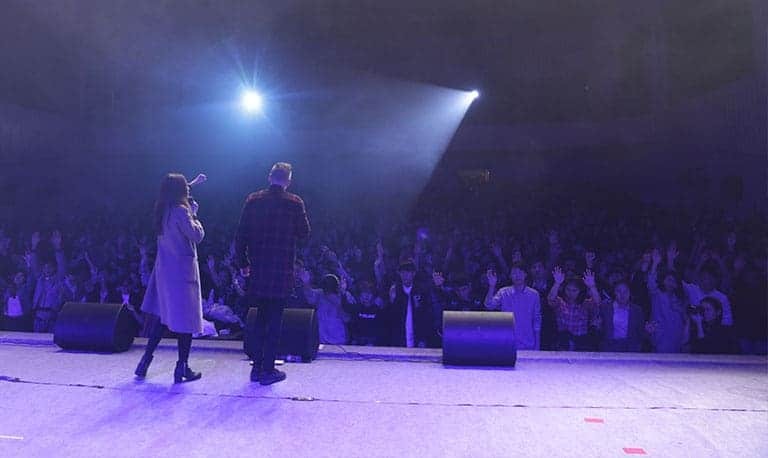 He is devoted to seeing teenagers connected to, and empowered by Jesus. A youth ministry website he started has equipped more than 15,000 youth pastors & leaders across the globe since its inception in 2015. TC: Dave, you have been working in youth ministry for quite some time. Can you tell us more about what you do? DE: I have my fingers in a couple of different plates. I’m a youth pastor in Melbourne, Australia. Have been running a local youth ministry for about 4 years now and high school ministry in local schools for 4 years as well. I also oversee an organization in Victoria called Youth Alive. 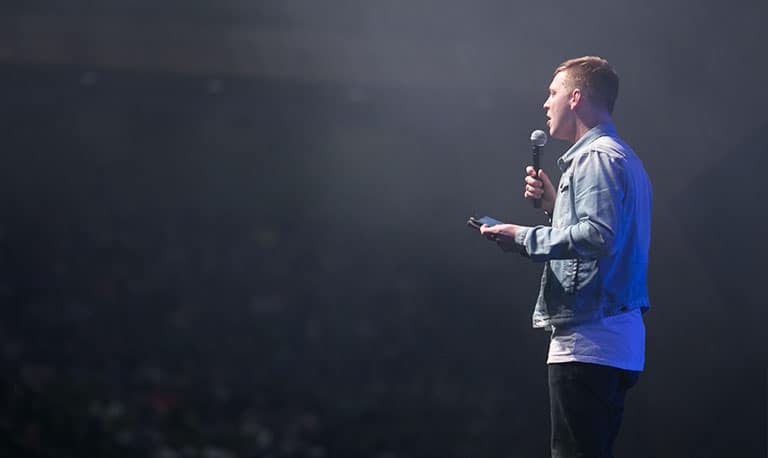 Youth Alive in Australia nationally since its inception has seen about 100 000 salvations. We have seen some cool stuff with that. We do some outreach events with teenagers and we also do ministry training for youth pastors around the nation. I guess out of the overflow of those things a few years ago I launched a website called youthmin.com. Before I was a youth pastor I had a web design business and we did web design for small business and had that moment when I thought how I can take the marketing knowledge and use it to make a contribution to what God’s doing. So I thought to build a free youth ministry website where we can have the resources. What I saw was that a lot of websites for that kind of demographic were good but they always charged so it was a bit of a turn-off for youth pastors because you had to pay $5 or $10 to get this pack of games and how to do it. And then you had to spend a bit of time digging around YouTube to figure out how to do it anyway. I thought to do it for free and see what happens and it blew off. TC: Did you do it with anyone or you started and promoted it yourself? Was there anyone who would help you with putting up the content there because there is a lot. I saw event ideas, design templates, the entire section in Chinese so there is quite a lot. DE: What I started with was that I wanted to write a book. And then I thought that maybe my generation is like me. I struggle for the attention span because everything is instant. I wanted to break it up and see how we can have it so that they can see what they need and what they want and leave the rest. So I just started writing posts and for a year and a half or two years after my wife had gone to sleep I just spent an hour each night writing different posts getting it all ready so that when I launched I launched strong. I think if we launch we want to have one or two posts and people might think that it’s awesome but unless it blows them out of the water they might not come back. I thought that there needed to be heaps of stuff. We had almost fifty to a hundred articles. From games and stuff for youth pastors, resources, school programs, you name it, it’s there. We had it from start and launched it and in the first year we had about 160 000 users visit the website and we had about 12 000 – 15 000 people checking it out. It might a thirteen-year-old kid running a game or a youth pastor so I put anything that could make it easier for them so I put a bunch of templates that I use for our ministry which is pretty exhaustive in terms of specifics of what we do. I got rid of all the figures and had all the samples and ideas and spreadsheets so they could just download it and punch their own figures. So we ran sheets and stuff to make it easier for people. Then as it has gone bigger I was stepping into the new role in the organization Youth Alive and ministry so I needed to diversify because I couldn’t keep it running. Then I started engaging with collaborators and people to lighten the load to keep it sustainable and keep this stuff going up. TC: How many people work on it right now? DE: Now I have one guy on staff one day a week. He is our editor in chief. I’d email him while I do my other work to let him know when I’ve had another idea to work on. One day I emailed him and said what if we had 20-30 topics of different issues that teenagers face to have biblical stands on them. Things like depression, homosexuality, anxiety, bullying or divorce. All the things that kids face with a parent or at school or even with themselves. And what would be a stance that the youth could have. We got those different cards done and put them up for youth leaders to download and have resource ready to go. I would send stuff like that to him and he will action it. He has also been working on increasing the amount of collaborators that we have got. TC: So you are a youth pastor at the same time and the question is how to utilize all the possibilities of the digital space for your youth ministry? I saw that your youth group has got a website which I think can be a bit unusual because I think most of the youth groups use social media for communication and not many have a website. So how does this work? DE: Well, it’s actually a bit out-of-date and I’m a bit embarrassed (laugh). I think we need to update the graphics on it and get it fresh but the framework is fine. Our kind of a mantra in that would be that Facebook and Instagram and other social media means are really good for reaching teenagers. For things like high-school or parents, there needs to be a level of professionalism that says we are responsible. It is branded to look youthy because we are a youth ministry but I gives us responsible credibility to our programs so when parents look the see we are organized and they can trust us for their teenagers so there is a section which has a bit of an info about our youth ministry and what it looks like and then the kids can watch it and the parents can watch it and see it’s a thriving youth ministry and it’s got the info about how all our leaders have got police checks and work with kids checks. There is info about our schools program so we can send it to local high school and say that here is a program we can run at your school. What it does it increases the perception of people looking at the ministry of this size and the ability that we can do something well. It also takes away the ambiguity of “is this is a good ministry or not” because they can see it for themselves. That is why we do our website and we put the info there each term so the parents can see what’s coming up and the kids can see what’s coming up. TC: Who are the people who visit the website? Is it only parents who check it because of your school programs because it’s quite a big part of your ministry and when I was in Australia it impressed me how much you work at local schools. So is it that what you do at schools make parents visit the website and check it out or are there people who google “youth ministry Melbourne” and they find it? Where do get traffic from? DE: We are not too worried about having massive hit because the fact that someone in America or in Europe might look at it is awesome, it’s cool but it’s not for them. It’s for us. So whether we get a hundred views or ten thousand views it’s not a good depiction if that is successful. It’s more something that holds information. We have the leaders section which is password protected and it is like an intro web, where we can put info for our youth leaders to log in. We have got a section there which is password protected and they fill the discipleship reports which kid they contacted when they contacted them so that each week we can make sure that our kids are reached. And it there is a law in Australia and I think in a lot of countries that it’s illegal for Christian organizations and churches to preach the Gospel in local high schools. So it’s illegal for us to invite someone to a religious event but what we can do when we run our school programs because we are in high schools with our programs we can take shirts or we can have promotional stuff of our Instagram and the kids will check out the Instagram then they are going to see our ythmin.com website and check it out and see it’s cool and then it will hopefully direct them to our youth ministry. TC: Do you have any stories that you could share about kids that went online and then transitioned to the offline of your ministry? DE: When we get kids that message us on different platforms reaching us they are just looking for someone to connect with. We are in a community that is quite diverse in ethnicity and has a lot of migrants. We have got a school 500 meters down the road that was involved in some terrorism plots. There were some kids in the school that were planning attacks on Anzac Day. Luckily enough the police found out before it happened but there was a really weird tone over the school and students were quite scared because there was this radicalism with some students that were bent that way towards Islam. But then the school reached to us and asked if we could come and work with them and offer a positive message to their teenagers. So we did our thing and as I said the kids checked Instagram and saw our website and in the space of twelve months we had twenty to thirty kids coming to our youth ministry from that school. We also had three Muslims that came and ended up converting to Christianity. One of them legally changed their name from the Muslim name to a Christian name because they didn’t want to be associated with Islam any more so when there were old enough their parents let them so it was very encouraging that something as small as a website can play a part and it’s not a linchpin but it’s one of those things that if we can make more effective and get someone closer to get saved and if we can make it easier for people to be reached from different ways I think it’s a positive thing. TC: Now it shows that your online presence is a part of a well-thought strategy of reaching out to young people. What kind of strategy do you have for social media? How do you plan posts, who does it, what kind of content do you have and what works best? DE: I’ve spoken to different guys and we had different thoughts on it but what I would say is that we used to have a lot of heavily designed graphics on our Instagram and we had those three in a line when you get to the group view it looks really cool and it got us a lot of followers but in the latest we tried more to post more pictures of young people because for kids who aren’t there it makes them feel they are missing out when they see their friends having fun. It also depicts that our youth ministry has a community. So on an Instagram page the best thing you can try to do is not just communicate content. I think it needs to be a break top of information, celebration and inspiration. Then you communicate that we have this event coming up and we celebrate how our youth group was last night with all these people having fun. And it’s not just for youth it’s for church as well where people get a lot of information and the just shut off to it, they don’t like it, they don’t look at it. Then when you look at what gets more likes it’s always people having fun or building community. On my personal page when I put a picture of my wife and I it always gets more likes than when I put a picture promoting an event. You need a bit information but you need to make sure there is more celebration and times of inspiration which might be a throwback to the night before when the message was on this Scripture and a picture of a preacher with a quote on it. So when you think about the kids going to school then they take that into the school use it as simple messages to keep encouraging, keep them thinking about God to help them stay on the right track. That is kind of how we do the Instagram stuff. TC: I really like breaking it down to those three points of information, celebration, and inspiration. And it’s so right that people relate more to people in the pictures so it doesn’t matter if we have great graphic design when nobody is there. So it is really important to remember that people matter and people relate to people. DE: I have done a lot of startups in the last years and I have seen people starting churches and organizations and new initiatives and the heartbeat of that for social media platform is to repetitively have content. It’s hard to do celebration if you hadn’t had the event to celebrate so we need to be strategic about what it is that we want to post. For people who are doing a startup like a church or new initiative you might now have many things to celebrate but don’t just bend towards information about our great product and how awesome it is. Have a lot of quotes for example. My friend Cameron Bennett just started a church called Public Church and having checked their Instagram when they haven’t had a service yet so they don’t have the photos. But they jumped to one of the stock websites, I think it was Unsplash with heaps of photos and put quotes about what their church would be to inspire people to be a part of it so it’s not just information about when the launch day is coming. They say that want to be a church like that and they want to do that so you’ve just got to find the ways to balance it out. TC: That is so great. Thank you so much for that. I’m really inspired by our conversation. I have a few things to think about and I learned so much. DE: It’s my pleasure. I really think what you guys are doing is great and I think that, as a church in general, we should be leading when it comes to media and I think that today the media is the language of the world. And especially with plugins that can translate everything. I think we should know how to use that to further the Kingdom and be strategic about it. TC: One of the takeaways of what you said is that it isn’t only about the media but about how it integrated with the general strategy to reach out to people from different sides and help them connect with the church. DE: It’s a balance. You can have an awesome Instagram but you have to smart about how you do it. You can have an awesome website but you have to be smart about how you do it. If you are employed as a pastor and you spend your entire week doing graphic design and websites and not spending time with people you probably are missing the point. In the conversation I had with a lot of young guys and youth pastors from campuses that I oversee is that you have to be a beast at getting these things done so that you can be focused on the ministry. The online is important but you don’t want to spend three hours doing one Instagram graphic or one promo. You need to weight it up and that’s why there is some great stuff like the post you had about the stock images to speed up the process. I’m such an advocate for that kind of stuff because it releases you to actually do the ministry. Make your online efforts address different demographics. Maximize the potential of your website providing content relevant to people you address. Make your social media channels a source of information, celebration and inspiration. Use quality photos with people rather than heavily designed graphics for social media communication. Launch online channels big to make people come back. TechChurch was created to give you the necessary tools that will improve your church online presence. We help you improve your website, drive more traffic and make the most of your social media channels.